HDI makes it easy for you to outsource your project and manage your offshore teams. Unlike freelancers, our resources come with HDI's support guarantee. 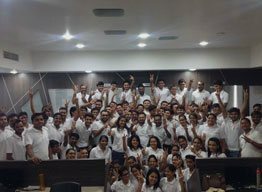 HDI embeds India's most talented developers as full-time teammates, enabling companies like yours to build better products, faster. Developers first spend six months on our team – mastering a chosen tech stack, building internal products, and becoming experts on distributed teamwork – before they're ready to join yours. Our dedicated IT and software training programs are aligned with Skill India campaign initiatives by the Government of India. Utilizing both simulations and real-world projects, we evaluate developers across 950 data points in 15 categories. The in-depth knowledge gained from months of interaction allows us to quickly match you with the right developers in a way that even highly skilled and experienced freelancers can't touch. Plus, you get the trust and committed support of HDI which is absent big time with even the best freelancers. 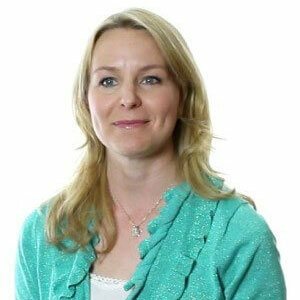 Our business experts assess how you operate before designing a plan for each of your new developers or other tech resources. Then we get them up to speed on your code base, internal systems, and team structure so that they can start contributing from day one. HDI provides all of the infrastructure your developers need to be successful, from the latest software, to a team of senior engineers who support them as they grow into leaders in your organization. Myriad number of successfully completed projects, umpteen hours of dedication. Our experienced PHP experts can undertake projects with absolute professionalism. Hire our PHP programmers available for part-time hire, full-time hire and hourly-hire basis. Customization and Responsive design, Customization and Theme design. You name it, we deliver. We offer custom solutions based on your project requirements. We have Wordpress developers with expertise in plugin development, theme development, Wordpress customization, etc to endow users with functional solution for your custom based requirement as well. We embrace new technologies and tools to offer you with the scalable and robust solutions. Our Magento Developers are experienced in: Magento Data Migration, Magento Theme Development, etc. Our AJAX developers are very well-versed in Document Object Model, CSS, HTML for presentation and provide functionality and features with dynamic usability to ensure your requirements. Our Shopify developers have unique set of skills and tech-savvy a lot that are acquired for procuring e-commerce online store in order to administer your web products. At HDI, our ColdFusion developers have gained a deeper knowledge of CFML(ColdFusion Markup Language) that will help you shine your business with proficiency. We have steadfast developers consigned with facilitating XML, JSON, CSS and work deftly on given platform which helps you increase your prestige to the global arena. Our team of cognoscenti developers offers you visually stunning social networking websites. With us, you’ll be able to get dynamic social networking sites. Our CMS developers uses their technical skills to grease the wheels for new projects. The proficiency we have is could not be more outnumbered in both microsoft technologies and open source. Get the benefit from our Flash/Flex developers, who have created rich-media applications. As per your requirement we have a dedicated staff who can comprehend your flash/flex needs very well. We have formed a ecstatic image in Unity3D game development over the past years. Our clients upholds for the integrated Unity3D games that we can develop and customize based on their requirements. The undeniable emergence of Android has managed to take the world by its storm. Hire our Android developers to grasp the benefits of this platform, that helps you in your business. At HDI, our developers have built umpteen IOS applications albeit, knowing the latest trends of Apple technologies to boost your business in well organized manner. We have a team of skillful Windows App Developers who are familiar with the latest versions of Windows platform. Our Windows developers uses the latest technologies to deliver a stellar solution. Our developers have the competency of developing robust, quality-driven mobile apps for business organization, startups, etc. We have expertise in all of the extensive technologies. Our .NET developers have developed multitudinous websites for various temperament of business and industries. We are familiar with the latest frameworks and quite efficient in it. HDI’s VB.NET Developers provide custom coding solutions to provide highly scalable, responsive web software/products on the VB.NET platform. We deliver quality service for your business. Our dedicated developers have managed to build different robust and secure application that effectively runs on .NET platform. At HDI, we are familiar with OOP(Object Oriented Programming)competently. Need some quality work done for your website? Hire our tech aficionados who are well-versed in .NET technology. The sheer professionalism of our developers gives us a quirky outlook. At HDI, our Microsoft technology skillful virtuosos will help you for developing efficient and customized web and business solutions to help you grow your business. We have dedicated developers on board, whose skills are adequate enough in content management systems, working on SHAREPOINT platform to help you effectively in growing your business. Our designers have got the hang of it in developing rich-media application, logo designing, Banner designing, Template designing, etc. We have strong creative designing skills to grow your business. We are offering PSD to HTML service at equitable cost and spend no time in start working as per your requirements once the PSD Design files have been provided by your side. At HDI, the strength of our developers is their integrity towards their work. We are consolidated and well-furnished to meet your requirements. Our developers are technically sound in HTML5. We aspire to offer you Bootstrap theme customization services which lets you transfigure your themes to elucidation, that are all inquisitive, enthralled and adaptable. We have a team of talented Wordpress designers, who would convert your PSD to Wordpress website in a methodical manner. Our Wodpress developers are the quintessence of sheer professionalism. We have a plethora of highly authorized developers who thrive to offer you stellar Joomla development services, inclusive of theme customization and custom Joomla CMS development. HDI (Hire Developers India) is an offshore development outsourcing division of NCrypted, providing high-end online and offline solutions to clients at affordable rates. 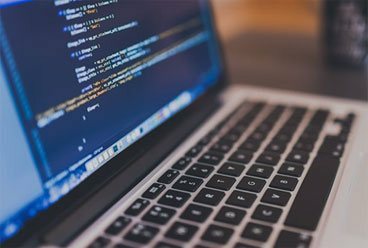 The offshore development and hire developer services of HDI are intended to serve businesses that are outsourcing software development and programming services. HDI is trusted by startups, small businesses and established enterprises. It is an offshore development outsourcing division of NCrypted, we have dedicated developers on board whose expertise is accountable and have exposures to the respective niches which consists, designing, development, R&D and quality assurance for meeting your requirements. 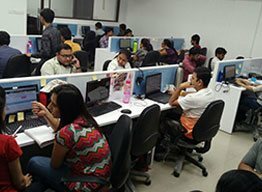 The offshore development and hire developer services of HDI (Hire Developers India) are projected for serving the business across the globe. We provide highly skillful online and offline solutions to clients at effective rates and within the time frame. 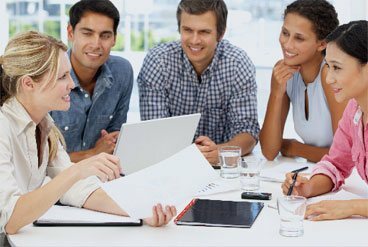 We have a great support team that will enchant you with proper guidance and has the competency to clear the doubt if have any. We have professional developers who will choose the best technology that will outfit your project. 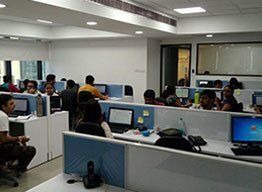 Having 150+ developers working efficiently and with devotion, we’ve managed to create a plausible work-oriented atmosphere to work with and delivers project on time with equitable rates. You can hire an offshore developer, hire a dedicated developer or hire a development team for any of the above mentioned skill requirement for your new or on-going project requirement. The hired developer works like an extension to your existing workforce or department while, at the same time, saving you thousands of dollars on payroll, infrastructure and other incurred costs; since the developer will be working from our development center (DC), you will not have to worry about any such additional costs whatsoever. You can either hire the developer at a fixed hourly rate or on a monthly retainer; or we can also work out on a fixed cost project based model if your project feature requirements are all clear in the beginning. In case the project requirements and features keep evolving alongside the development/phases, it is more advisable to work on a monthly retainer or hourly rate based pricing model for your offshore development requirements. Please get in touch with us today with your offshore development requirement and we will suggest as to which model is more suitable to start our offshore outsourcing relationship with. 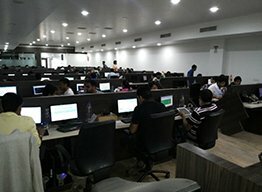 Why Choose Hire Developers India ?